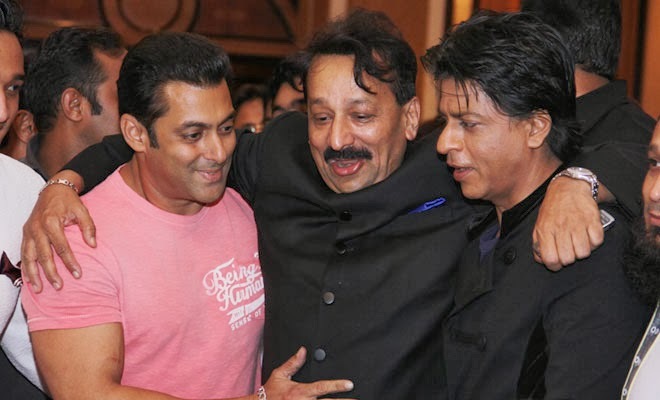 Salman Khan and Shahrukh Khan, the most powerful and the biggest superstars in the country, have cooed, stuttered and danced their ways into the hearts of Indian movie buffs starting in the late 80s and early 90s respectively and to this day continue to entertain and enlighten us. Despite the arrival of fresh faces, they still remain the ‘biggest superstars’ of Bollywood while we bask in the power, passion and energy they radiate on screen. Defying age and time, these two Khans (Aamir Khan also, but he is more towards quality cinema) has created a holy space in the hearts of masses as well as the box office. Salman Khan became a superstar overnight after Maine Pyar Kiya. He is the only male superstar in the hindi film industry who started his career (as a lead star) with an All Time Blockbuster. Shahrukh joined B-town in 1992 when Salman was already a star. Let's a have a look at the first decade of their career (In Salman's case 1989 is added in the decade). Salman Khan is a clear winner in this decade with much more dominating career; more ATBB, Blockbusters, Hits and Top Grossers Of The Year. His hit and success ratio was better than Shahrukh Khan. Shah Rukh Khan's career was not bad at all though. He was hugely successful and was clear no. 2 among all superstars, just behind Salman Khan. This decade clearly belongs to Shahrukh Khan. Salman Khan has just achieved the impossible. He has got 8 blockbuster( 5 in a row). Infact, Salman Khan's box office run in last 3 years has been termed as the second best run ever of any male superstar in Bollywood history, just behind Rajesh Khanna's box office run (Read More Here). Shahrukh Khan was quite behind til August 2013 but he bounced back with Chennai Express. Shahrukh Khan's box office run has been good but the magnitude of the films is much smaller. We wish both superstars the best of luck. Salman is just famous bcaz of his body and his little fame all over india while srk is pride of he has fan following all over the world many peopke dont even know salman khan but they recognize india as srk country he has got national awards of country india and france too. Salman apne little fans ki wjh se hi 300 CR 400cr 500cr 600cr club m hai..aur srk chutiye k worldwide fans to jate hi nhi movie dekhne tbi gaandu taras gya h box-office hit k liye..fan dilwale only 85 CR ..
SRK is the only KNIG !! No comparison . SRK Won 8 film fare best actor award while Salman none . Is it not enough ..
..srk ki tarah same Aamir aur akshay bi nhi dete pese islie unhe bi nhi Milta. Ye dallebaji sirk srk chutiya ko aati hai..
SALMAN KHAN is the best.....the MEGA STAR.....THE BOX OFFICE PHENOMENON is SALMAN KHAN....sala koi srk nahi tik sakta..
With bajrangi bhaijaan n sultan , salman khan will became box office king worldwide too. sharukh khan is creative in every and each sense of the bollywood standards. boxoffice collection doesnt define an actor or a director as a good artist. art is about being creative and the stories they use to make movies, should be related to the actual reality of our lives; most of our movies, especially the ones with huge boxoffice collection, has nothing to do with the reality of our lifes in india. those types of movies are complete illusion and it creates illustions in the audience. movies has to be with quality ,it has to have a power (not star power). powerful story rather. it has to move us, change us for good, creating a positive energy in audience. bollywood has the power, then again they are using there power to make money, and the only motto is money. bollywood should make more quality films, not the easy digestable stories which are not related to our reality. Agr salman ko uske father ne bnaya hota to Abhishek bcchan king hota Bollywood ka OK bro..aur agr salman khan ko uske father ki wjh se Mila role..to srk ko bi bazigar bhik m mili h salman se search Google salman recommend srk name to Abbas mastan..sb apne dum pe bnte h fans bnate h chutiye..
you people don't fight between each other. if you look upon the above list then you will decide that salman khan is the sultan of bollywood. SRK entered in the film industry with romantic-drama Deewana (1991). Just after started his career, he showed his versatility by accepting the negative characters in the films Baazigar (1993), Darr (1993) and Anjaam (1994) etc. In the year of 1995, Dilwale Dulhania Le Jayenge (DDLJ) released, which established him as the King of romance. DDLJ is one of the most classic films of Hindi Cinema which has broken so many Bollywood box office records with record-breaking success.